WHY: Global residency and citizenship is an increasingly important aspect of private and professional life of this new trend of global citizens. Many of the investment options leading to residency and citizenship around the globe are based on investments in real estate, business start-ups. For entrepreneurs and investors from India (MENA), citizenship by investment is appealing because it presents the opportunity to build assets across two or more nations, and to thereby diversify their wealth. In addition, as investors become more global and travel the world visa-free, they often need to invest in a property or two at their destination of choice. Sam Hussain, Managing Director of BLS Global commented on the increasing demand for Residency and Citizenship from India. Currently more than 15.6 million Indian Immigrants were residing abroad and the demand and desire from Indian clients for outbound migration and investment opportunities continues to grow. It is therefore widely recognised that India is in need for a one-stop-shop event outlining all the major immigration programs. Citizenship by investment programmes are becoming increasingly popular among business persons and international families because they truly are the insurance policy of the 21st century. The advantages are clear – flexibility, mobility, and the freedom to live and work in an increasingly global environment. Caribbean Citizenship By Investments countries include: Antigua and Barbuda, Dominica, Granada, Grenada St Kitts & Nevis and St Lucia. The St Kitts and Nevis Citizenship by Investment Programme, the world’s first-ever citizenship by investment programme, has a longstanding reputation for trustworthiness and excellence, and is a prime example of the Caribbean’s leadership role. Caribbean is an enticing region to high net worth families, businesspersons, and world travellers. It is here that physical safety, asset development, and greater mobility is guaranteed. “Applicants usually wish to obtain citizenship not only for themselves, but also for their loved ones. It is thus essential to find out whether a programme allows one’s spouse, children, parents, or grandparents to apply together,” said Sam Hussain. At the moment, there exist European Programmes such as UK (investor programs), Portugal Golden Residence Permit, Spain Residence program, Greece Residence, Malta and Cyprus Citizenship and Residency programme. The vast majority of European countries, subject to respective requirements and conditions, invite foreign individuals to take up residence just on the basis of sufficient financial assets as well as based on investments. To provide more a better insight Indian investor, agents, brokers, industry players. 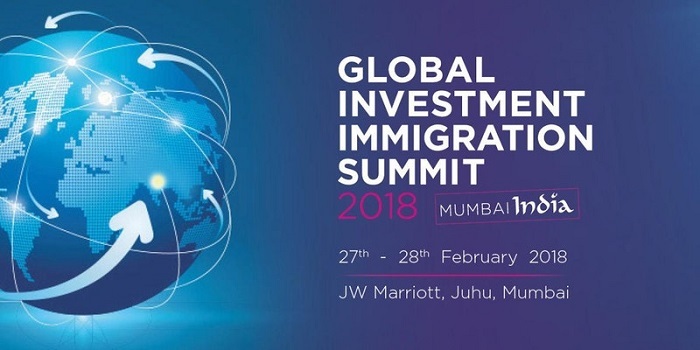 BLS Global will be organising the first ever Global Investment Immigration Summit – India, taking place on 27th – 28th February 2018 at The Marriott Hotel, Juhu, Mumbai and will be running educational sessions outlining all the major programmes from Caribbean, European, US, Canada, which will feature informative panels moderated by head of Citizenship/Residency Units, experienced in Immigrant Investor Program. Potential investors and residency seekers are urged to attend the panels to learn more about the global investment immigration programs. Industry leaders will be present and assist aspirants in the complex decision-making, documentation and application process. The upcoming Global Investment Immigration Summit – India is also expected to draw the participation of more than 25 exhibitors from 20 countries. DGTLmart a digital performance marketing company will be the Indian partner for promotion of event.